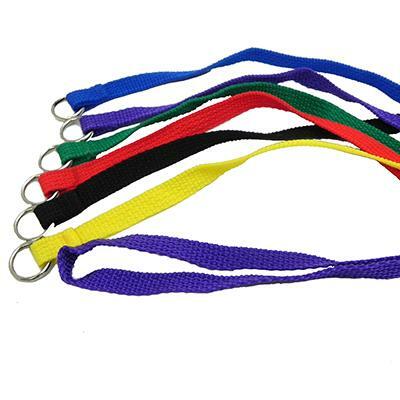 These 1/2-inch x 4-foot flat, nylon, dog leads offer quick and easy control for the groomer, handler, or veterinary worker. Also perfect for any dog owner as a compact backup leash for the purse, pocket, backpack, or glove compartment (for those times you need to have your dog on leash and swore you had one, but just can't find it). Use the handy Guardian Gear™ nylon Kennel Leads with O-ring adjustment to lead pets in and out of your waiting area, or give as a free gift to boarding and grooming customers. Also perfect as a backup leash...keep a few in your car, your purse, or pocket. Kennel Lead color will vary.